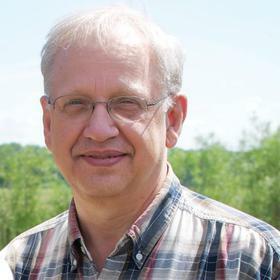 Mr. Robert J. Burggraaf, age 61, of Grand Rapids, went to be with his Lord and Savior on Monday, August 6, 2018. He is survived by his wife Kathy; children Robert and Sarah Burggraaf, Steve Burggraaf and girlfriend Katie Roudi ; grandchildren Olivia, Ethan and Abigail Burggraaf; his sister Beth and David Pickard; father-in-law and mother -in-law Jim and Jan Bouwer; sisters-in-law Mary Ellen and Rick Berthiaume, Sue and Marc Wibalda; several nieces and nephews and many friends. Bob was well known for his love of cooking and giving food and pies away. When meeting him once you were a friend for life, and he will be deeply missed by all who knew him. A service to thank God for Bob’s life will be held on Saturday August 11, 2018 at Fourth Reformed Church, 1226 Union NE, Grand Rapids, MI 49505 at 2:30 PM with his church family and where Bob was a life member. Relatives and friends may meet with his family on Friday August 10, from 6-8 PM at Van Strien Creston Chapel, 1833 Plainfield NE, and at Fourth Reformed Church on Saturday from 1:00 PM until the time of the service at 2:30 PM. Contributions in memory of Bob to New City Neighbors, 1226 Union NE, Grand Rapids, MI 49505 are appreciated. To leave a memory or sign Bob’s guestbook please visit www.lifestorynet.com.